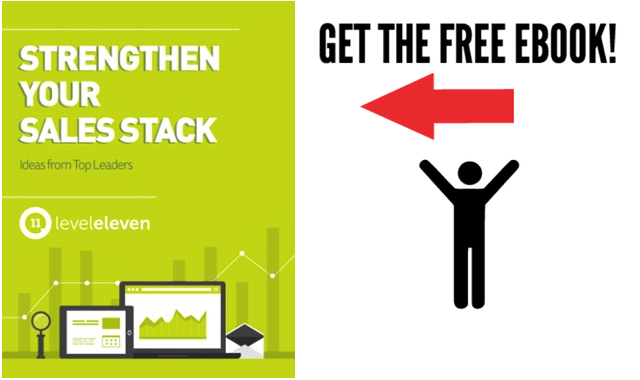 There’s a lot of buzz about sales stacks. Sales leaders, publications and social media want to tell you about the new technologies you just have to have and how to get the most adoption from them. It’s hard to filter through the noise. After 20 years in sales and sales leadership, Richard Harris started The Harris Consulting Group. He’s worked as a consultant and advisor to a number of Saas companies, including TopOPPs, Gainsight and LevelEleven. He’s been voted one of the top 25 most influential inside sales professionals for 2015 by the American Association of Inside Sales Professionals, and he spoke with the folks at Conversature, an inside sales analytics company, last month about why sales tools and software are critical. Harris has also written guest blogs publications across the web. Read Richard’s last piece for LevelEleven’s blog. Nancy Nardin is recognized as a top sales influencer by organizations like Forbes, Openview Partners and InsideView.com. With almost 3 decades of sales and marketing experience, Nardin has served in various sales and sales leadership roles, at companies like Gartner Group and IDC. In 2006, she founded Smart Selling Tools, a firm that helps salespeople and marketers use process and technology to drive revenue. In a recent blog post, she discussed how technological innovation in nineteenth century manufacturing companies like National Cash Register and Westinghouse Electric drove innovation within their sales organizations, therefore setting the stage for modern B2B sales. “History is now repeating itself. Developments in analytics technology is driving genuine innovation in the form of predictive sales analytics — a move that is shifting the new normal of what the B2B sales process looks like,” Nardin wrote. You can also find Nancy speaking on conference panels, holding webinars and writing a sales app assessment for her Hubspot award-winning blog. Keenan comes with more than 15 years of sales and executive sales leadership and has been voted one of the top 50 sales and marketing influencers by Top Sales World Magazine for three years in a row. He posts multiple times a week on his sales blog, sharing insights on the world of modern sales. A couple weeks ago, he wrote about salespeople missing out on the benefits of sales data. Keenan also hosts a podcast where he answers questions that people send on Twitter using #HeyKeenan. Dr. Cindy Gordon’s experience includes various sales and management roles at companies like Xerox, Accenture and CoursePeer. She is a crusader for making sales a science — and part of her mission includes advocating for Saas technologies to increase productivity and accuracy. Gordon is the founder and CEO of SalesChoice, a predictive and prescriptive sales analytics platform, as well as the author of 14 books on Saas, big data and more. When it comes to sales technology, Gordon told LevelEleven that business fundamentals are still the same (i.e. KPIs and the like are still important for salespeople). Technology just creates different tools that drive them. Gordon was also a part of our flagship podcast on the topic of sales as a science. Alex Turner loves sales and sales development. It says so right on his LinkedIn profile (and he’ll be quick to tell you in person). He’s currently working as the director of sales development for Wrike. Turner is another recipient of the top 25 Most Influential Professionals in Inside Sales award from AA-ISP. He even runs a public Slack channel dedicated to the sales stack for sales leaders and mentors. Turner spoke at a Dreamforce session earlier this year about best practices for inside sales teams. He talked about building technology stacks for both his sales and marketing teams. There’s a lot of buzz about sales stacks, and it’s hard to filter through the noise. Here's who to trust when it comes to your team’s technology stack.